So I know it's been a been repetitive on here with this door opening business but I promise that I have more exciting posts coming! 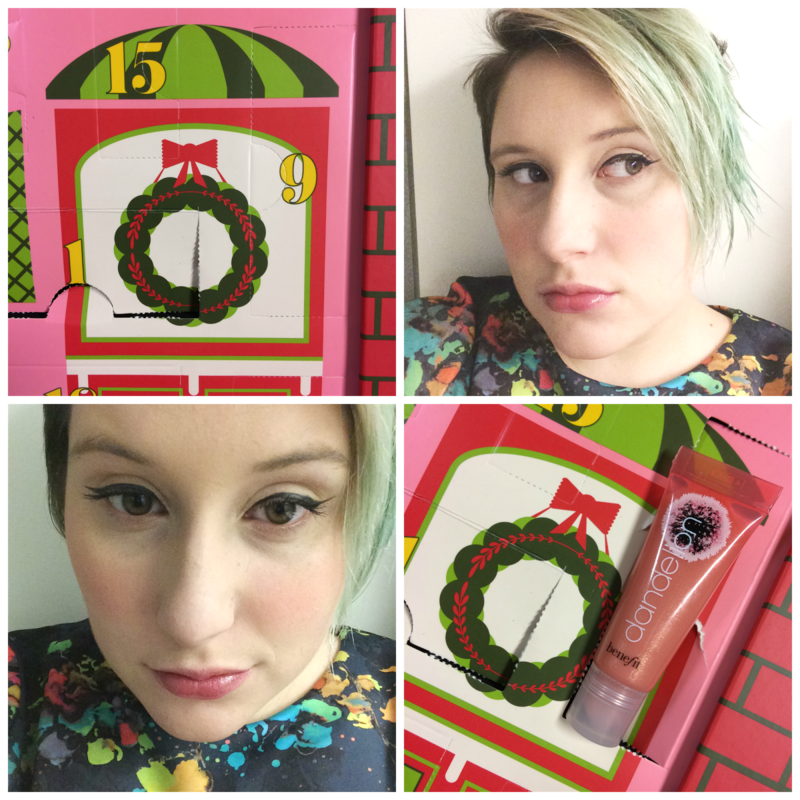 Today, I am happy to report, had an actual beauty goodie behind door 9! Today's treat was Dandelion Ultra Plush lip gloss. The colour is lovely and a bit more me compared to the last one. It has just enough peach in it to avoid washing me out and it makes me look fresh faced.